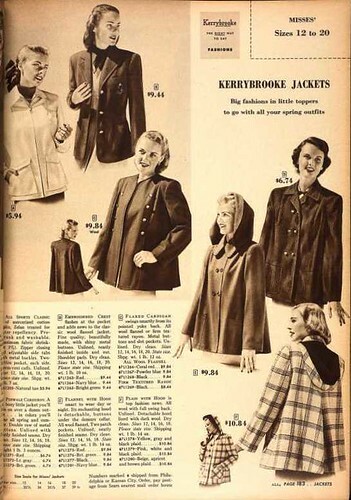 I thought I would share a hoodie or two from 1948. 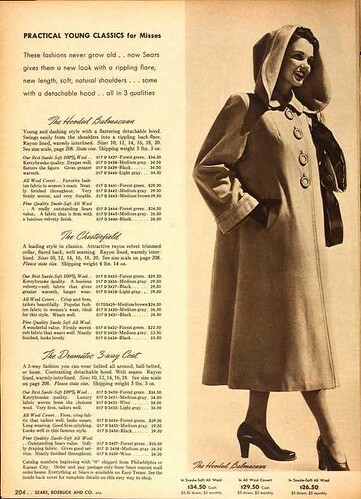 They are infinitely more chic than any contemporary hooded outerwear I have ever seen. There is even a dress with a removable hood, and it is plaid! It really doesn’t get any better than that, does it? Rain or evening appropriate . . .
Or long . . . They all look so sophisticated! Those hoodies are so classy! Totally them! 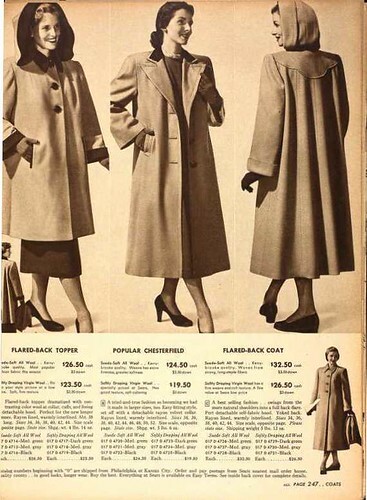 Love the coats, but they seem to require great flexibility in the right ankle. 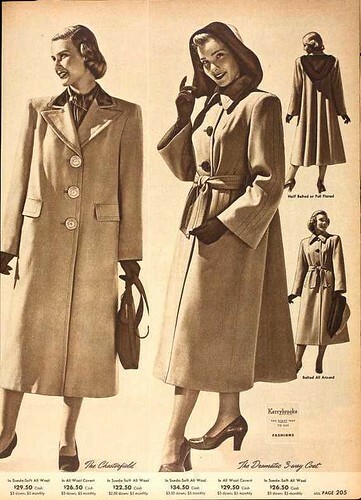 Why oh why can't we find coats like this today? 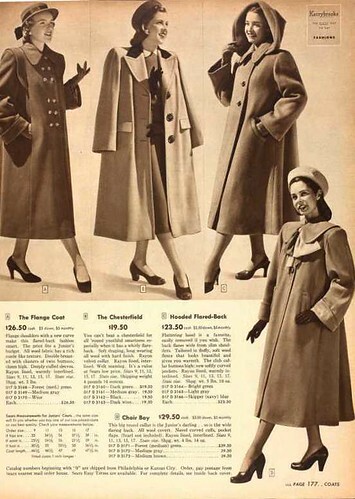 I feel like I'm floating on a cloud in vintage coat heaven over here! These are definitely my kinds of hoodies, too! 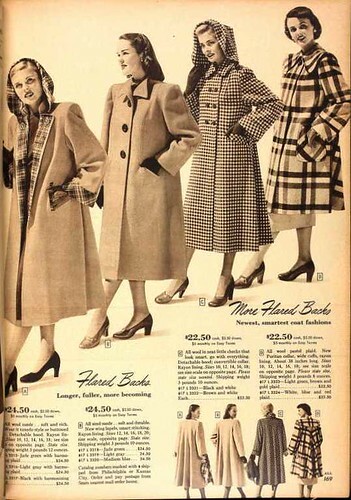 I love all those coats--and the 2 plaid dresses. Lovely! 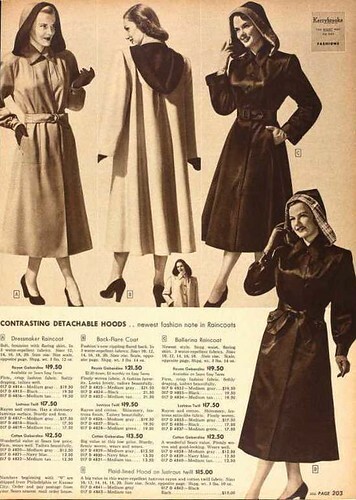 I have be sooo very in love with 1940s and early 1950s hoods ever since LA Confidential. I would kill for a coat like Lynn's! 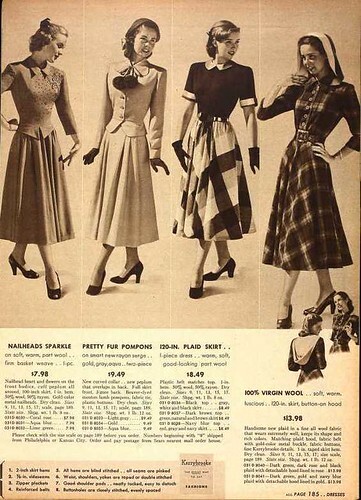 Or any of these for that matter!! Thanks for sharing!